While he was at Eli Lilly, the company more than tripled the price of its best-selling insulin. Last year The New York Times published an op-ed urging the break up of the “insulin racket.” But rather than break it up, Trump has nominated one of its architects, Alex Azar, for secretary of Health and Human Services. From 2007 to 2017, Azar worked for pharmaceutical giant Eli Lilly. While he was a senior VP, Lilly paid a record $1.415 billion to settle a case on its off-label promotion of the antipsychotic Zyprexa. Rising up the ranks, Azar became president of Lilly USA, the largest division of Eli Lilly, in 2012, a position he held until resigning in January of this year. During Azar’s tenure, Eli Lilly raised the prices on its insulins in the United States by 20.8 percent in 2014, 16.9 percent in 2015, and 7.5 percent in 2016. Eli Lilly’s biggest seller, Humalog insulin, is now off-patent. But rather than becoming cheaper, Humalog costs more now than when it first came to market in 1996. When Azar started working at Eli Lilly in June 2007, the list price for a vial of Humalog was $74. When he quit in January 2017, it was $269. At T1International we asked people with type 1 diabetes around the world how much they paid each month to stay alive. The United States topped every country, spending on average $571.69 per month on diabetes costs. Even with insurance, some Americans are spending around half their income on insulin and other supplies. In fact, price gouging from Eli Lilly and other insulin manufacturers has already had deadly consequences. Shane Patrick Boyle, a founder of Zine Fest Houston, died on March 18 after his GoFundMe campaign to pay for insulin came up $50 short. Alec Raeshawn Smith, age 26, was found dead in his apartment on June 27. He was rationing his insulin after he aged out of his parent’s insurance coverage. The sad fact is more people would be alive today if insulin was affordable for all Americans. Contrary to pharma propaganda, insulin is neither “new” nor “innovative.” It was developed in Toronto in 1921. The discoverers turned down the chance to create for-profit clinics. Instead, they licensed their creation for $1 (Canadian) a piece. Their recorded reason for doing this was to make sure insulin would be available for all who needed it. Eli Lilly’s was tasked with manufacturing insulin for North America. There was an understanding insulin would be sold at a reasonable price until there was a cure for diabetes. What difference a century makes! Eli Lilly is currently under investigation by multiple state attorneys general for price fixing. It is also named in a class-action lawsuit that alleges that it colluded with Novo Nordisk and Sanofi to keep the prices in the US insulin market rising. These “Big 3” insulin makers control over 90 percent of the global market and maintain their lock on it in many ways. One is “pay-for-delay schemes,” like when Sanofi paid Eli Lilly to delay the launch of an insulin similar to its Lantus brand. Another is to sue potential competitors for intellectual property infringement, such as when Merck attempted to enter the insulin market in 2016. The companies also funnel money into patient-advocacy groups, both big and small. This might explain the inaction or even outright opposition of these groups on measures that may rein in prices. At first glance Trump’s decision to appoint Azar is surprising. Public support for lower drug prices is at an all-time high. Why hire a man directly responsible for raising the price of a drug that millions depend on? The reason becomes clear once you review the campaign contributions. 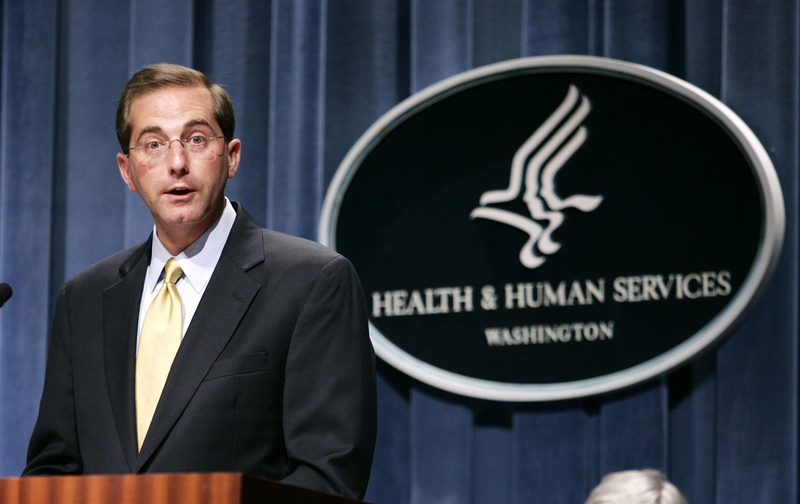 Azar’s Lilly spent millions lobbying Congress, the Department of Health and Human Services, spending $5.7 million in 2016 alone. The company has deep ties to the Trump administration. Lilly’s current CEO, David Ricks, was one of the first business leaders to meet with Trump after his inauguration. Ricks has publicly and repeatedly backed Trump’s tax-reform plans. Vice President Mike Pence also knows Azar well from his time as governor of Indiana, where Eli Lilly is headquartered. Clearly the Trump administration and Alex Azar feel they have a friend in each other. In fact, it is simple. Drugs cost far too much. There are all sorts of ideas on how to bring prices down. Allow Medicare to negotiate drug prices. Let private citizens buy their drugs abroad. Mandate transparency on the dealings between drug companies, pharmacies, and middlemen called pharmacy benefit managers, as the State of Nevada did this year with SB539, a bill with bipartisan support. We can expect Alex Azar to pursue none of these options. Looking at his track record, you can bet he will continue to back pharma-friendly approaches. Expect the Orwellian phrase “value-based pricing” to be commonplace. Since insulin literally keeps people alive, the Big 3 insulin producers have already tried to argue that value is a good reason to keep the prices high. The fact that insulin is almost 100 years old and costing pennies on the dollar to be produced means little when next quarter’s revenue is at stake. Trump has repeatedly called for drug-price reform. Last year he called out big pharma for “getting away with murder.” Yet by nominating Azar he just sent a clear message to industry. It’s open season.